Sometimes, our teeth become decayed or infected. This can be a major problem, but with the help of a dentist and a root canal treatment, your teeth can be saved. Cavities are not the only reason you could need a root canal. Root canal therapy is needed when the nerve inside the tooth is damaged. This damage can occur from decay, but also from trauma, clenching, and/or grinding. 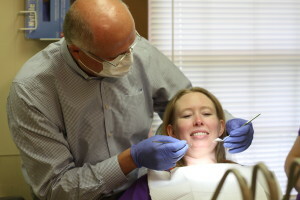 Dr. Mike Clark root canal dentist Pine Bluff, AR wants to ensure his patients have the proper care when a root canal treatment needs to be performed. To understand the procedure of a root canal, you must know the anatomy of the tooth. Under the enamel, there is a layer called dentin. Under the dentin is a soft layer of pulp and the nerve. During a root canal, the pulp and nerve are removed and the inside of the tooth is cleaned and sealed. A root canal will save your mouth from much discomfort after the procedure is completed. A root canal has the reputation of being a painful and long treatment. However, this is not the case. Most who receive the treatment will report that a root canal is no more painful than having a regular filling replaced. The pain being reported is actually the ache of the nerve before the actual procedure takes place. By being proactive in your dental health, consulting with your dentist and being knowledgeable about the signs you may need a root canal can save you time and money, in addition to sparing you from pain. the procedure can be done by Dr. Mike Clark on Cherry Street. Dr. Mike Clark wants to help if you if you are experiencing discomfort in your mouth or if you think you may need a root canal. Call today – we take emergency appointments!